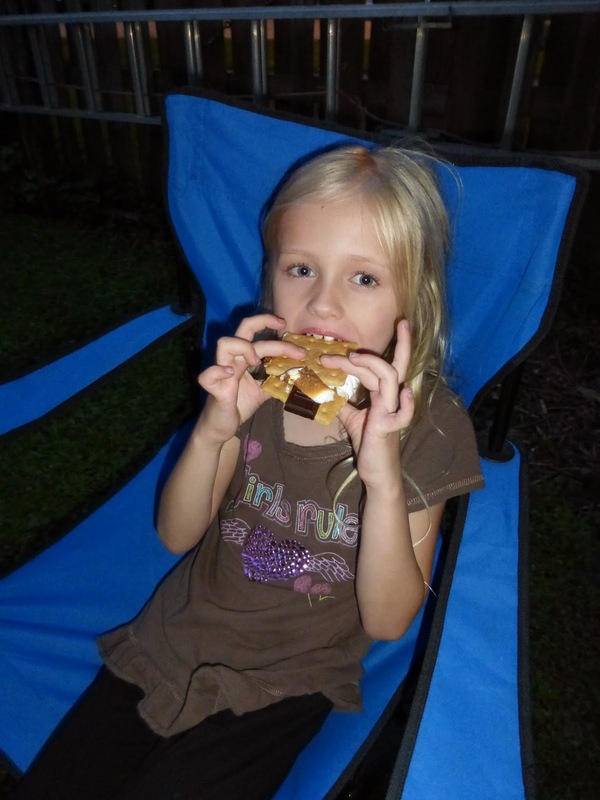 My daughter Rylie enjoying a S'more. The Michigan Department of Natural Resources invites residents to grab their blankets and head to participating Michigan state parks Aug. 9-16 to enjoy one of the biggest and most visible astronomical events of the year: the Perseid meteor shower. Some state parks in Michigan are staying open late and offering “Meteors & S’mores” events in honor of this natural light show. Many of these events feature astronomy presentations, as well as – you guessed it – s’mores. A few participating parks also will offer free movies to complement this natural light show. Brighton Recreation Area (Livingston), 9 p.m. (Chilson Pond behind the park headquarters). This program features guest speakers from University Lowbrow Astronomers. For more information about Meteors & S’mores events at Michigan state parks, please check the state park event listings at www.michigan.gov/gogetoutdoors, or contact Elissa Dennert at 989-313-0000. For specific information about a state park, please contact the park directly. There is no charge to attend Meteors & S’mores, but a Recreation Passport is required for any vehicle entering a Michigan state park. The Recreation Passport is an easy, affordable way for residents to enjoy and support outdoor recreation opportunities in Michigan. By checking “YES” for the $11 Recreation Passport ($5 for motorcycles) when renewing a license plate through the Secretary of State (by mail, kiosk, online atwww.expresssos.com or at branch offices), Michigan motorists get access to state parks, recreation areas, state forest campgrounds, non-motorized state trailhead parking and state boat launches. In addition, Recreation Passport holders can experience real savings at businesses and retailers that participate in the Passport Perks discount program. The Recreation Passport is valid until the next license plate renewal date. Nonresidents can purchase the Recreation Passport ($31 annual; $9 daily) at any state park or recreation area or (annual passes only) through the Michigan e-Store at www.michigan.gov/estore. Learn more about this creative way of sustaining Michigan's outdoor recreation and natural resources at www.michigan.gov/recreationpassport. For information on Passport Perks shopping discounts or how businesses and retailers can enroll in the program, visit www.michigan.gov/passportperks.